Missing Link (film, 2019). A 2019 American stop-motion animated adventure film with "PG" rating by United Artists Releasing/Lionsgate UK. Directed by Chris Butler. Official Trailer. Missing Link is a 2019 American stop-motion animated adventure film directed by Chris Butler. 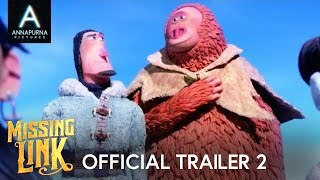 MISSING LINK | Official Trailer 2. Sir Lionel Frost, a struggling investigator of mythical creatures, has continuously searched for different creatures to study and announce their presence in the world, which would allow him to be accepted into a society of other "great men", which is lead by Frost's rival Lord Piggot-Dunceby. Frost receives a letter acknowledging the presence of a Sasquatch, making a deal with Piggot-Dunceby that would allow him to join the society if he proved that the creature was real. Frost travels to the Pacific Northwest, eventually stumbling upon the Sasquatch in a forest. After dubbing him "Mr. Link," Frost is told by the Sasquatch that he was in fact the one who sent the letter. Mr. Link requests Frost's help in finding his relatives, the Yetis, in the Himalayas. Frost agrees to help him, but is unbeknownst to the fact that Piggot-Dunceby has hired a bounty hunter named Willard Stenk to track Frost and kill him, ensuring that he never ridicules the society again with his continuous searches. Frost's old lover Adelina Fortnight has a map to the Himalayas locked in a safe that belonged to her late husband. Frost goes to Fortnight's mansion to inquire about the map, but she sees through his charm and deception. Frost and Mr. Link come back later at night and break in, but Mr. Link makes too much noise while attempting to get into the safe and it eventually falls out of the window cracking open in the aftermath. Frost and Mr. Link grab the map and escape, but are discovered the next day by Fortnight who allows them to search for the Yetis as long as she is there to accompany them. Stenk arrives and a shootout ensues, but the trio trick their pursuer into hopping on the train to search for them. 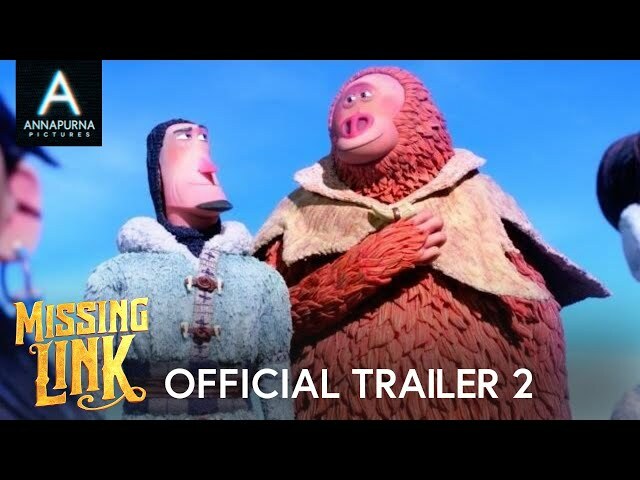 The film Missing Link was scheduled to be released by United Artists Releasing and Lionsgate UK on April 4, 2019 (Russia), on April 12, 2019 (United States) and on May 30, 2019 (Germany). The duration of the film is 94 minutes. The film grossed over $10.6 million. Missing Link got high rating from critics. The audience also likes the film. Audiences polled by CinemaScore gave the film an average grade of "B+" on a scale ranging from A+ to F.